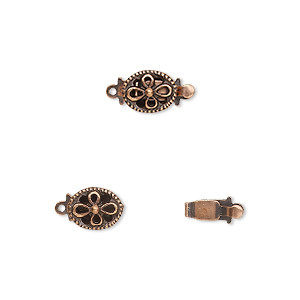 Clasp, tab, antique copper-plated brass, 9mm rose. Sold per pkg of 10. 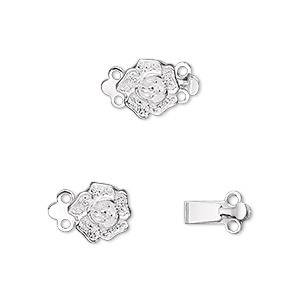 Item Number: H20-1399FX Have a question about this item? 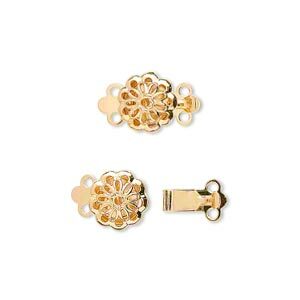 Economical brass base plated clasps available in antique copper-plated finish. 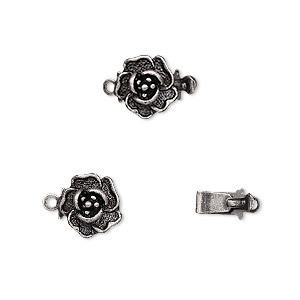 Clasp, tab, antique silver-plated brass, 9x9mm rose. Sold per pkg of 10. 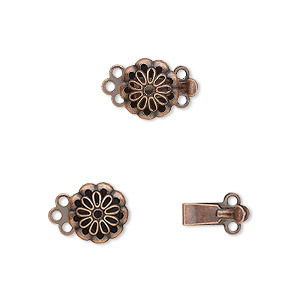 Clasp, 3-strand tab, antique copper-plated brass, 9x9mm flower. Sold per pkg of 10. 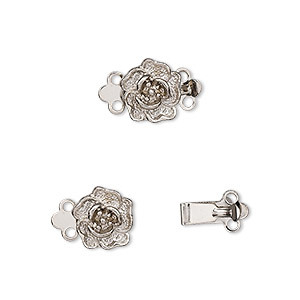 Clasp, 2-strand tab, imitation nickel-plated brass, 9x9mm single-sided rose. Sold per pkg of 10. 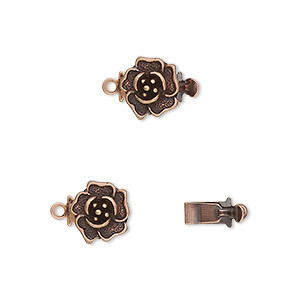 Clasp, tab, antique copper-plated brass, 8x6mm oval flower. Sold per pkg of 10. 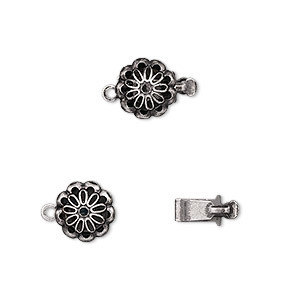 Clasp, tab, antique silver-plated brass, 9x9mm flower. Sold per pkg of 10. 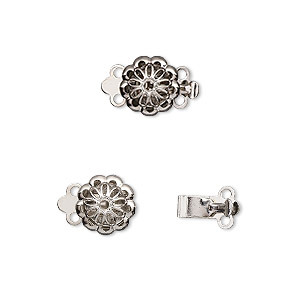 Clasp, 2-strand tab, imitation nickel-plated brass, 9x9mm flower. Sold per pkg of 10.